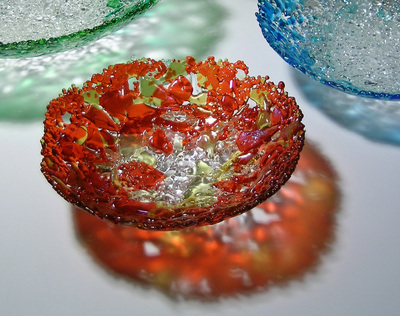 Glass bowl, fused and kiln formed. 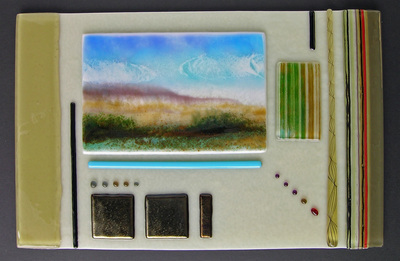 Made in 5 nesting sizes, several color combinations. 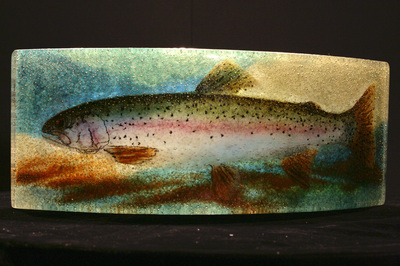 Solid Glass cast images of trout, one-of-a-kind, signed, numbered and dated. 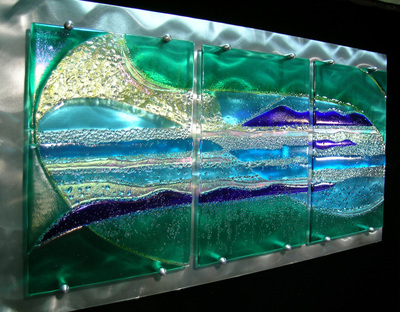 Fussed glass panel mounted on brushed aluminum. 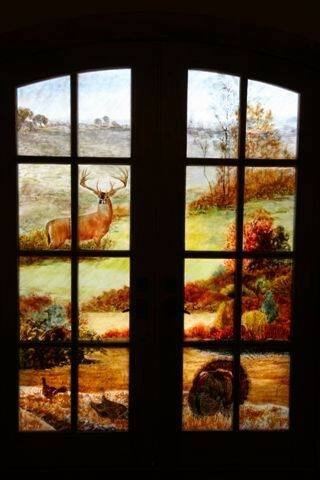 Fused glass panels for entry door. 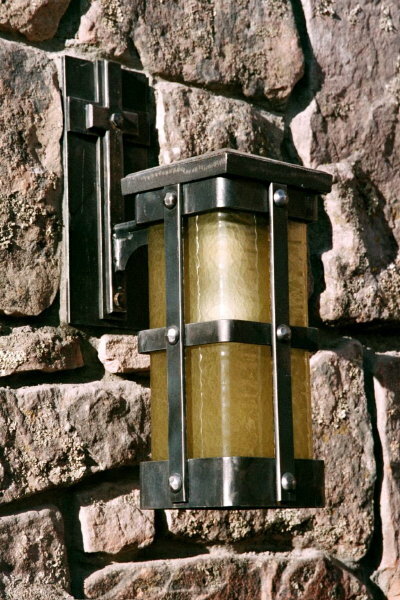 Bent glass for custom lighting. 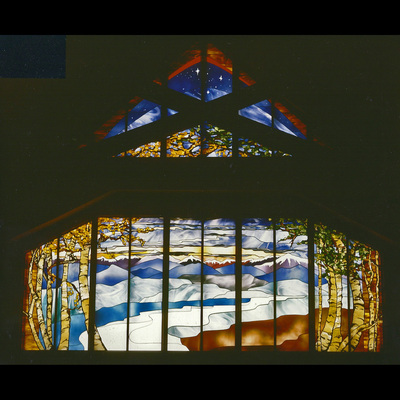 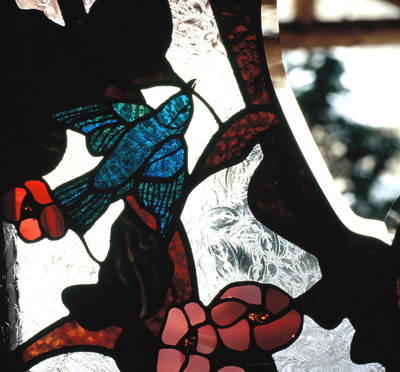 Paonia Christian Fellowship Church, restoration of 57 stained glass windows. 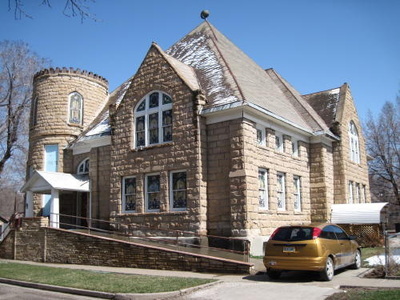 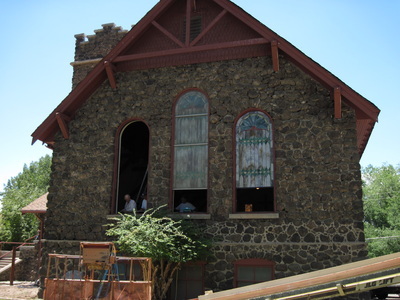 Eckert Presbyterian Church, State of Colorado Preservation Grant, restoration of 17 windows. 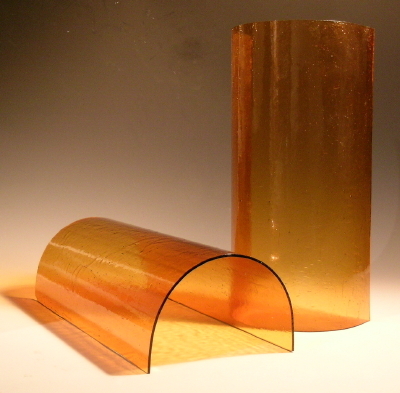 Bent glass half-cylinders, custom work available. 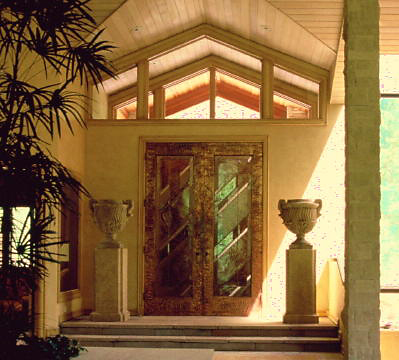 Leaded and beveled glass panels, custom copper-clad entry doors.